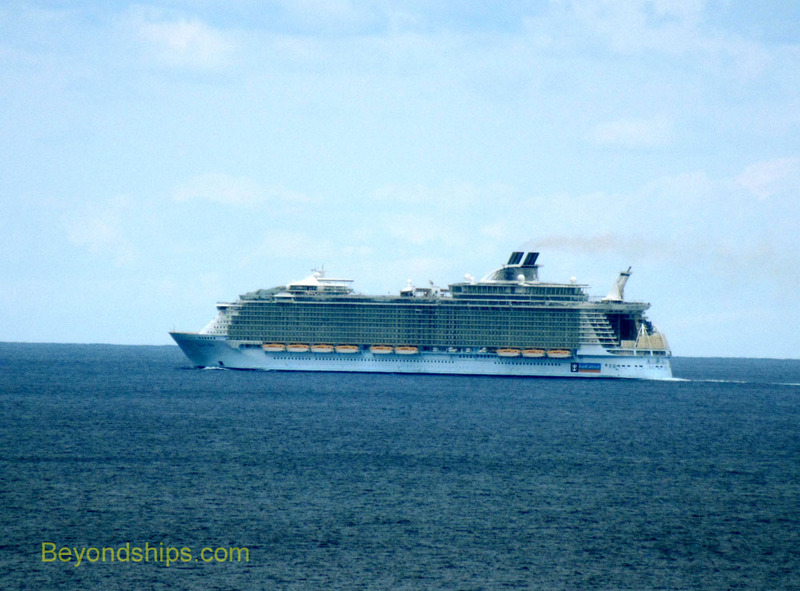 In this photo feature, we see Allure of the Seas during one of her bi-weekly cruises into the Eastern Caribbean. 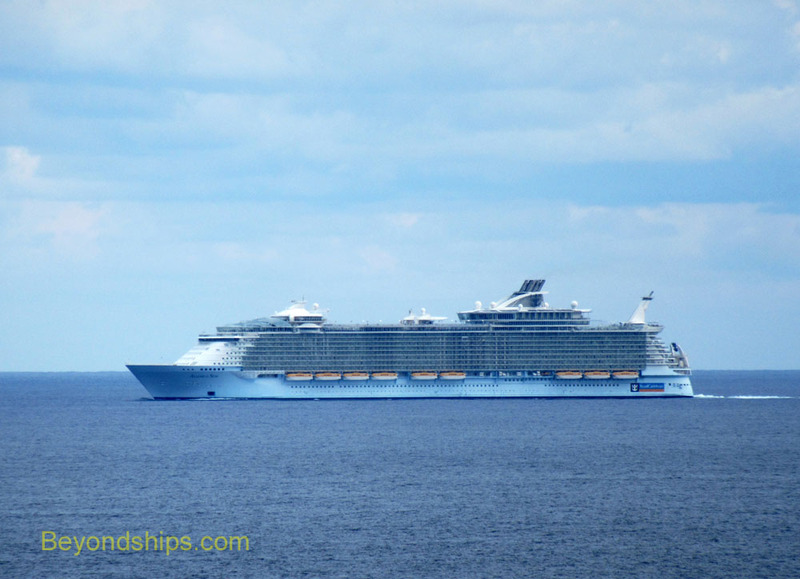 The itinerary includes Royal Caribbean's private resort Labade, Nassau, St. Thomas and St. Maarten (see next page). 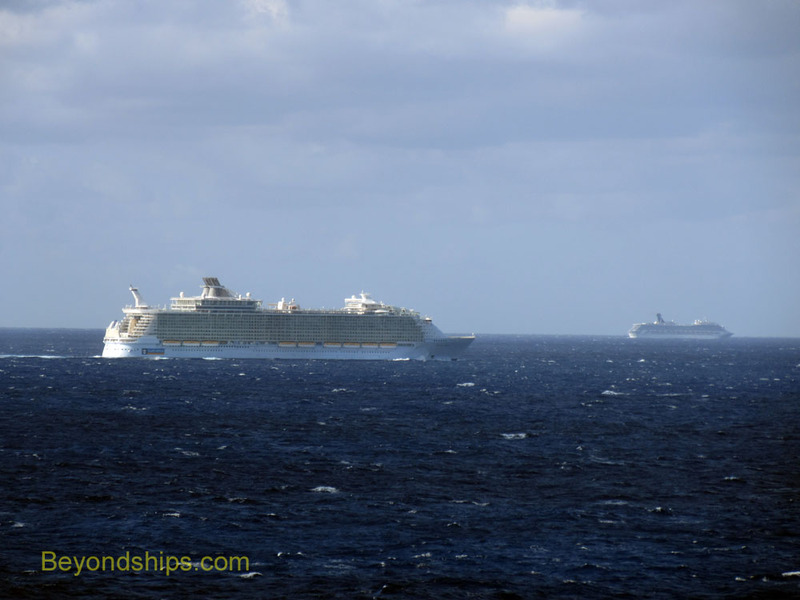 Left: Allure berthed by Terminal 18 in her homeport of Fort Lauderdale, Florida. 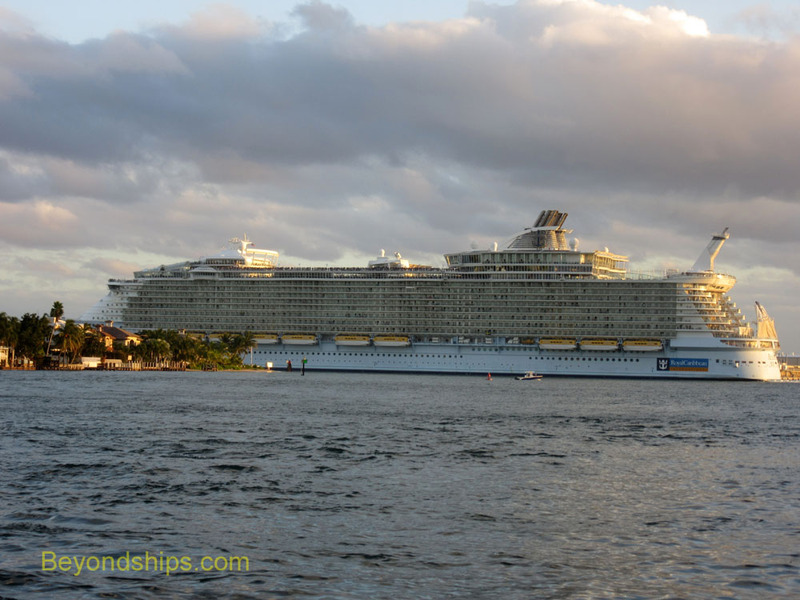 Terminal 18 was constructed to accommodate Allure and her sister ship Oasis of the Seas. 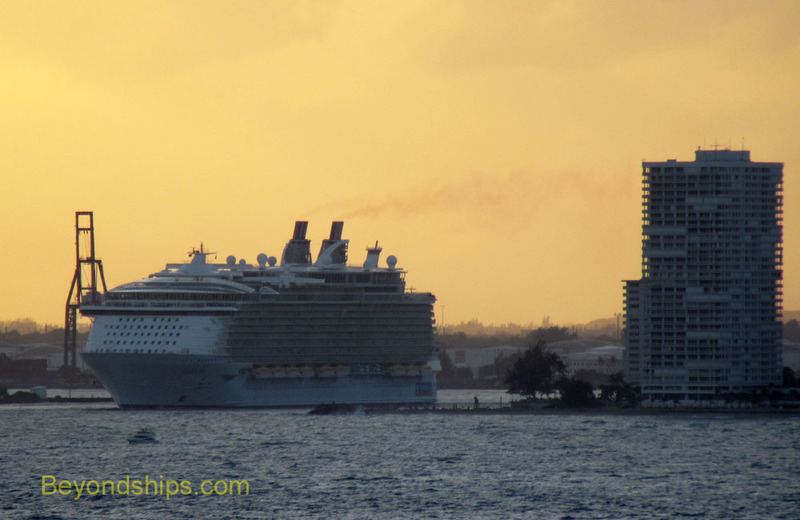 Her preparations complete, Allure leaves the port through the entrance channel just as the sun is setting. 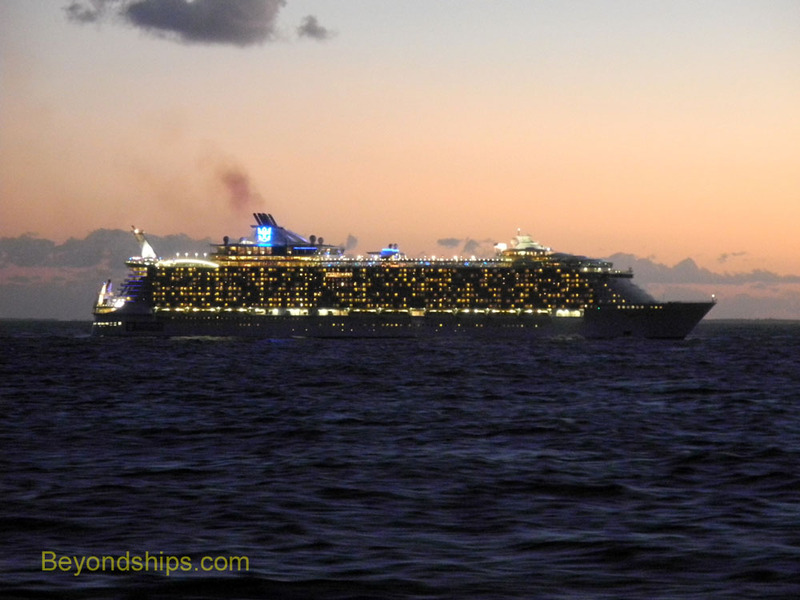 We once again encounter Allure in the Bahamas Channel. The weather is overcast but the sea is calm. On the return trip from St. Maarten to Fort Lauderdale, the wind has stirred up some white caps (right). 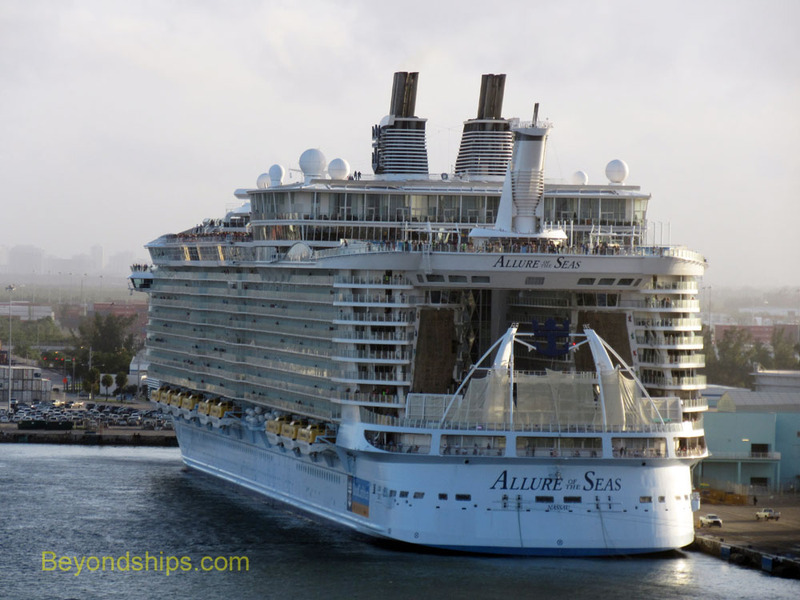 Above: Sailing with Allure is one of Carnival's Conquest class ships. Below: By sunset, the seas have calmed.